Do you know the history of this block of the Rockhill neighborhood? 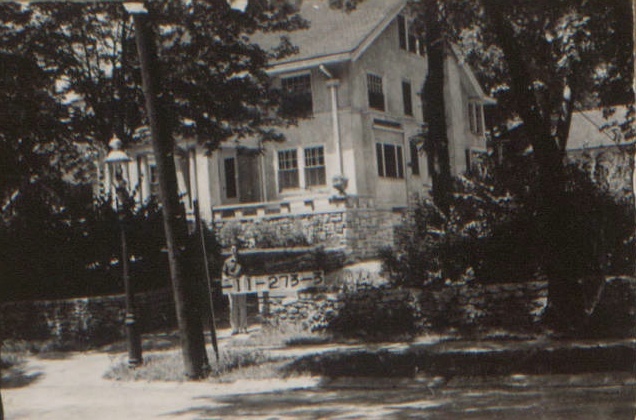 One of the homes from our featured block, 45th to 46th between Holmes and Kenwood, as it looked in 1940. The Rockhill neighborhood is known for its large historic homes built on spacious lots and its proximity to the Nelson-Atkins Museum of Art, the Art Institute and UMKC. Once renowned for its stone walls and crimson rambler roses, Rockhill began when William Rockhill Nelson built his mansion, Oak Hall, in the south part of Kansas City in 1890. He continued to create the infrastructure for the neighborhood, including building Rockhill Road and some of the stone walls that still characterize the area. 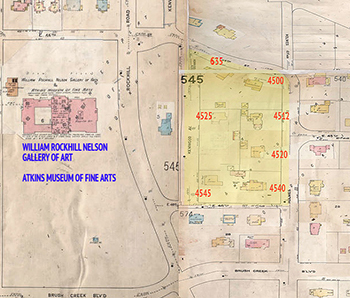 The block featured in this slideshow (at the very end of this story) is just east of the current site of the Nelson-Atkins Museum of Art (seen on the 1909-1950 Sanborn Fire Insurance Map below). The museum was built after Nelson’s death. The block is between 45th and 46th Streets, from Kenwood to Holmes. In 1905, when Edward Pratt purchased the property just north of 45th Street, the area was described as full of “many old forest trees.” The block became the home to several important Kansas City businessmen. Fred S. Doggett lived at 635 E. 45th. Just to the east, I.C. Van Noy, president of the Van Noy Interstate Company, bought property in 1919 to build a home. There’s still a lot more to learn. Do you remember this block? What special memories do you have of this section of Rockhill? What questions do you have about it? Let us know and we’ll share your history and help to preserve it on our website. 11-273-4. Is our house for 1940 tax. I was married there 11/03/1950. I love that house & various owners have been kind enough to let my sister I visit through the years. 642 easy 46th St. Nafzigers (interstate Bakers) lived next door. Behind us lived Hanson’s (Stuart-Hall). Like your comments and the pictures, Pat. Two pictures of my folks house. Dr. and Mrs. William A. Staggs. Great place to grow up. 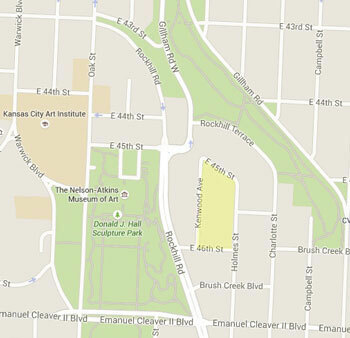 Do you know if any homes were moved from the area where the Nelson Atkins now stands when it was built? lecture and history . We would be Interested in any information you have or suggestions of special Points of interest.